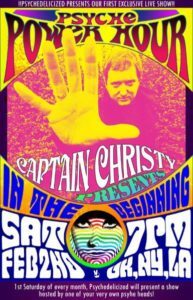 Join us Saturday Night as we pay tribute to Ray Thomas. 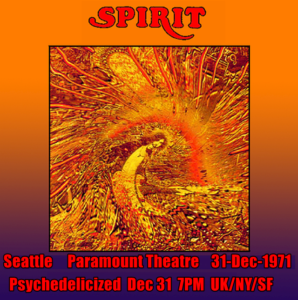 This week Psychedelicized opens a lid of Rusty Haze and takes a musical trip across the seas. What could possibly happen as we drift into the night? 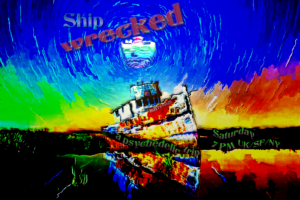 Put on your flip-flops, grab a fruity tropical cocktail, and enjoy Shipwrecked. Saturday Dec 9 UK/NY/SF times. Hi Everybody! 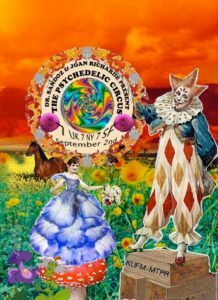 Rusty here to invite you to the Psychedelicized Haunted House Dance Party. 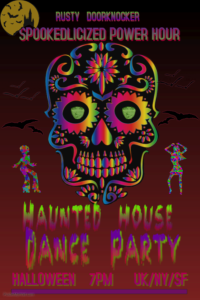 Join us on Halloween for some infectious dance tunes and a tour of our spooky haunted house. That’s October 31, 7PM UK/NY/SF/TRANSYLVANIA times. The Captain returns! 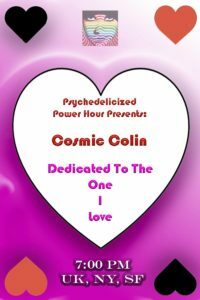 This Saturday, October 28, 2017, we are rebroadcasting the original Psyche Power Hour, which premiered February 2013 with Captain Christy’s show, “In the Beginning.” Listen in for a blast from our past starting at 7pm UK, NY and SF. 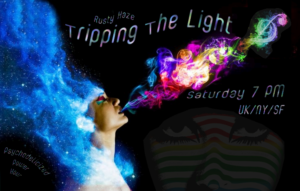 The Psychedelicized Power Hour returns Saturday with “Tripping The Light.” Rusty Haze will be spinning a colorful cornucopia of sound for your listening pleasure. That’s Saturday October 7th, at 7PM UK/NY/SF times. 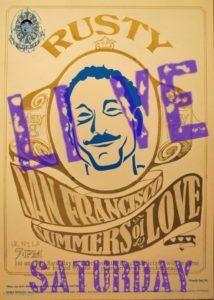 Rusty has dusted off the tape reels and brings us an all live version of Summers Of Love. 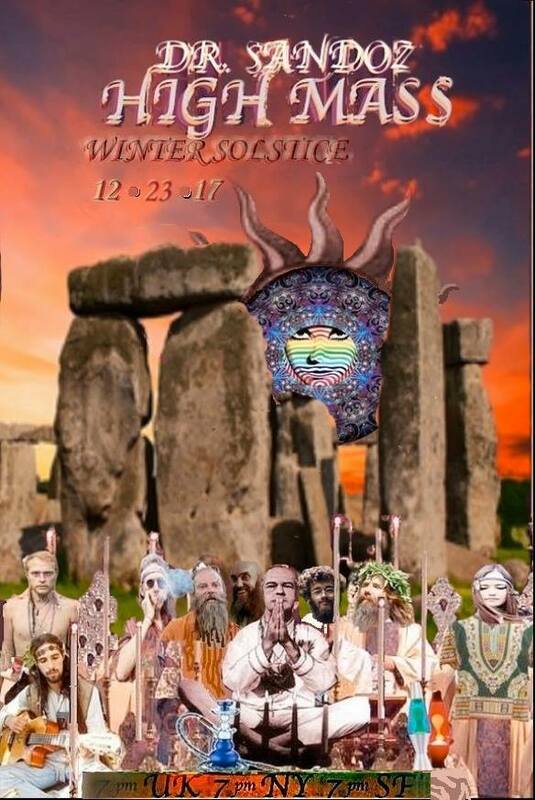 San Francisco area bands and Bay area concerts. 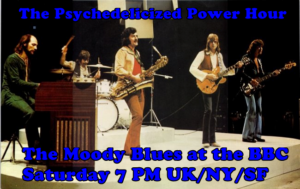 Not all from 1967, but close… Turn to dial to Psychedelicized Saturday July 15, 7 PM UK/NY and of course San Francisco time.